I first discovered that Allen County, home to Fort Wayne, Indiana, has an extensive collection of online genealogy materials and resources while I researched a story about an old church with an interesting cemetery that we spotted along the Lincoln Highway a couple years ago. I put the Allen County Library's Genealogy Center on our Midwest bucket list, hoping to see the more of the county's genealogy and history research resources, and we finally got the opportunity to check it out the center during our most recent visit to Fort Wayne. The Genealogy Center's Manager, Curt Witcher, met us and took us on a tour of the center, which houses the nation's largest public genealogy collection. Witcher was a genial host and generated an infectious enthusiasm for genealogical research and a love of history that made for an especially enjoyable visit to the center for both me and Tim. 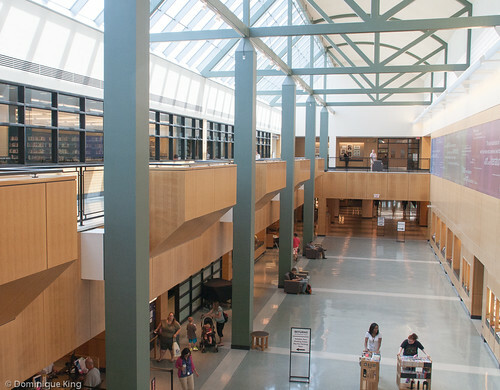 The Genealogy Center is on the second floor of the 367,000-square-foot main branch of the Allen County Library in downtown Fort Wayne. The library opened as the Fort Wayne Public Library in 1895 with 3,606 volumes in a room at City Hall. Today, as the Allen County Library system, it includes the main library in downtown Fort Wayne as well as more than a dozen branch libraries around the county in northeastern Indiana. 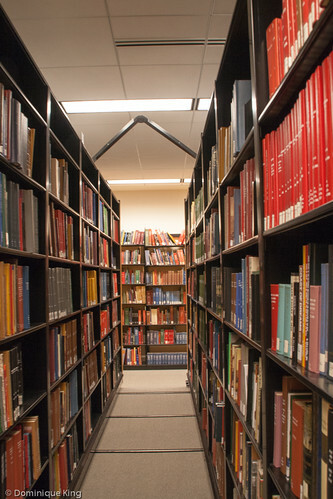 The library established the Genealogy Center more than 50 years ago as an outgrowth of the interest of one of the librarians in genealogical research and serving the needs of people searching for information about their ancestors. Only the collection at the Family History Center in Salt Lake City, which is a private institution, exceeds Allen County's genealogical research holdings in the United States. The Center houses over 370,000 printed volumes, 513,000 micro form items, 55,000 volumes of compiled genealogies that include research on many families in North America and Europe, plus other physical items like city directories from around the country, military records dating back to the 1700s, passenger lists of ships entering the country, census records and other items for a total physical collection of more than 1.1 million items. The collection is always growing. Witcher estimates that the Center adds an average of 1,200 to 1,500 items to the collection every month. 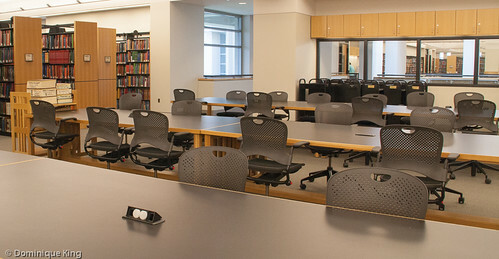 Much of the Center's collection is available online, but genealogical researchers going to the Center in person will find free access to even more databases, many available only to libraries by subscription and licensed genealogical databases that would normally cost an individual hundreds of dollars to access all of them. 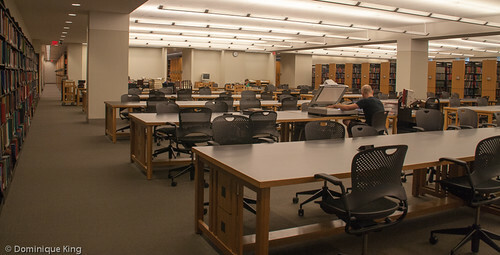 Genealogical researchers can also access other databases at the Center that include the Salt Lake holdings, census records for 1790 through 1930 with some individual state and territorial records, specialized databases of Native American and African American records and records from other countries like Canada, the British Isles, Ireland and Germany. There are also many local and regional history resources for Allen County and the surrounding area. One of the most valuable resources at the Center might be a staff that specializes in genealogy and history. It's possible to schedule a short one-on-one consultation with an experienced staff member if you run into a problem or are not sure where to go next with your research. The Center also hosts meetings and programs of the Allen County Genealogy Society of Indiana where beginning genealogists can learn about topics like Genealogy and Technology. You can connect with the ACGSI, at their site and blog, on Facebook or on their Pinterest page (where I ended up going off on a tangent while looking when I found a link to an interesting article about the Find-A-Grave website, which I frequently use when researching stories on Midwest Guest). Witcher tells budding genealogists that they can begin with just the facts that they personally know about their families and begin building their own family tree and history from there. Staff at the Center suggests that prepping for your in-person visit before you arrive will help you to make the best use your time, especially if it is your first visit to the Center. A good number of researchers were at the Center during our visit on a weekday afternoon. We enjoyed seeing the different resources available and how organized everything seemed. 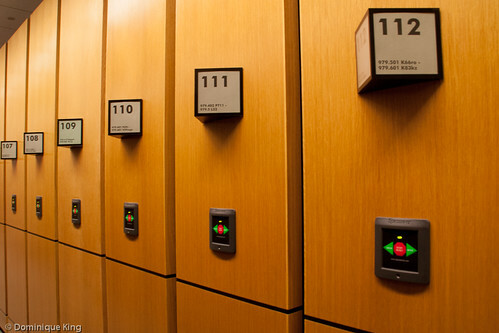 The Center's moving book shelves particularly fascinated me with how they collapsed to take up a lot less space, yet expanded with the touch of a button to reveal rows and rows of more volumes. 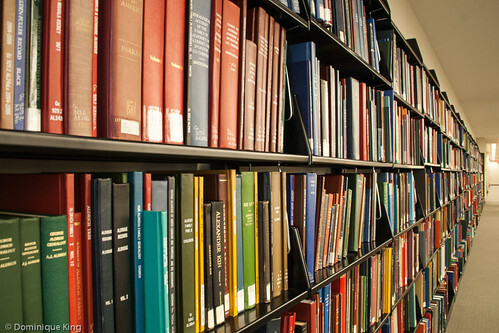 Hours at the Genealogy Center coincide with the library's hours of 9 a.m. until 9 p.m. Monday through Thursday, 9 a.m. until 6 p.m. Friday and Saturday and noon until 5 p.m. on Sunday. The building is closes on Sundays from Memorial Day weekend through Labor Day weekend and on major holidays like New Years Day, Easter, Memorial Day, Independence Day, Labor Day, Thanksgiving and Christmas Eve and Christmas Day. 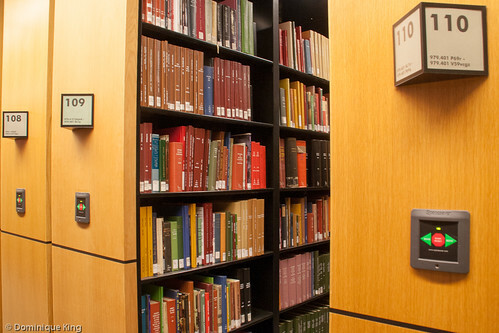 You can also connect with the Genealogy Center on Facebook, Twitter or on the Center's blog.